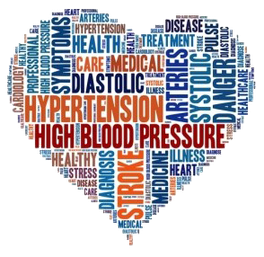 You must determine whether you are healthy enough to have a baby or what to do if you have pre-existing conditions such as diabetes, high blood pressure, sickle cell disease, cystic fibrosis or an autoimmune disease such as Lupus that could affect the outcome of your pregnancy or even your own health. So, let’s talk about your health for a moment. If you have any of the pre-existing conditions mentioned, you should plan to see a maternal fetal medicine specialist who is a high risk pregnancy doctor. Although you’re not pregnant at the moment, he or she will be able to counsel you regarding what tests you might need, medications or necessary treatment before you become pregnant. How’s your weight? No, it’s not a loaded question nor is it an attempt to make you red-face with embarrassment. If you are underweight because of an eating disorder you might have difficulty ovulating or maintaining a pregnancy if your body fat is not at least 22%. On the other hand, if you are obese, meaning you have a BMI of greater than 30, you might not be able to ovulate and without ovulation, pregnancy cannot occur. If you’re having weight issues, it’s important to get them addressed before you attempt to get pregnant because the complication rate for pregnant obese women is extremely high. Old habits might be hard to die, but smoking must definitely be eliminated if you are planning to get pregnant. Smoking has been associated with miscarriages, premature births, small babies and fetal distress. Smoking has harmful substances such as nicotine and carbon monoxide which increases your baby’s heart rate and decreases the amount of oxygen it receives. These things cause complications including fetal death, therefore if you smoke, please enter a smoking cessation program before attempting to get pregnant. Are you up to date with your vaccines? If not, please do so. Measles, mumps, rubella (aka German measles) a, diphtheria, polio and varicella (aka chickenpox) vaccinations should be up to date and cannot be given during pregnancy. Varicella during pregnancy can cause life-threatening pneumonia and rubella can cause hearing loss, blindness and intellectual disabilities of babies. If you are a healthcare professional, you should also be given hepatitis vaccines as well. 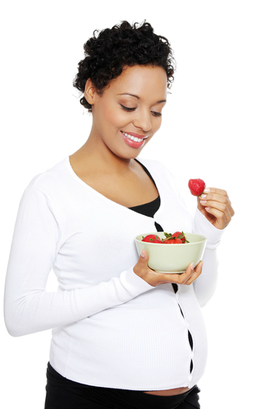 A word about nutrition is also in order if you’re planning to become pregnant. You must take at least 400 micrograms of folate acid each day to prevent birth defects such as Spina Bifida. Folate acid is part of vitamin B and should be taken before you become pregnant in order to have its protective effects. 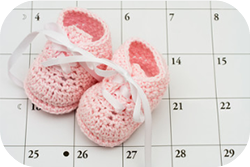 Planning a pregnancy may not be easy but remember, a healthy pregnancy doesn’t just happen. It takes a smart mother who knows what to do.